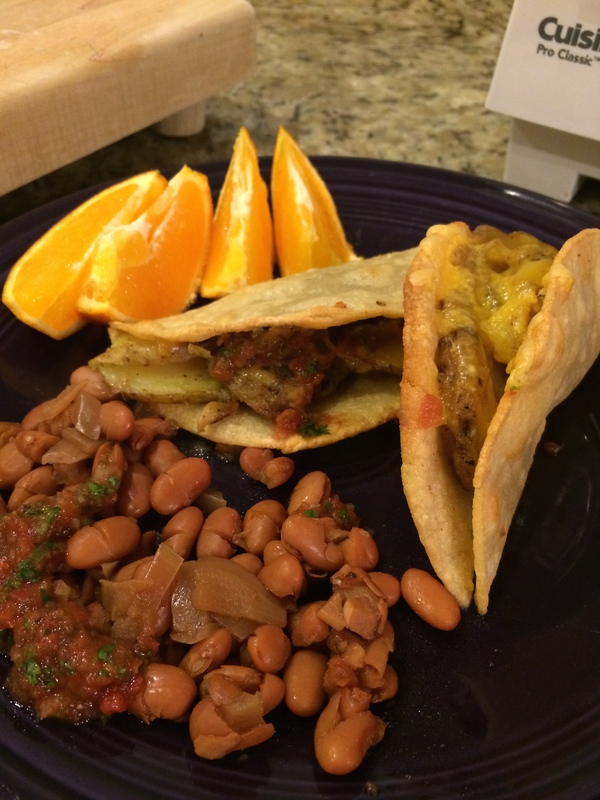 New Menu Monday- Potato Tacos! I disagree with The Mom-in-Law, I think shredded beef tacos are the ultimate taco goodness. She prefers ground beef. Gotta admit, her ground beef tacos are the best I’ve ever had. Her secret? Simmer the ground beef for a while in a little water after browning with onions and garlic. This turns the beef into a tender, flavorful taco stuffing that is far from any fast food ground beef taco. But, I like my shredded beef tacos better, and they are quicker. My trick is using leftover roast beef- my roast is more of a tender, falling apart braise than a rare, prime rib style roast beef. It is pretty much shredded when done… that’s how to tell it is done. Does it shred into tender pieces? Yes? Then take it out. A 3lb. chuck roast takes about 3 hours in the oven at 275-300 degrees (here’s a beautiful tip- a frozen roast at 275 degrees and 4.5 hours later it’s happy dinner time). But, I gave up meat for Lent. So. How about copying our favorite Mexican joint’s potato tacos? We LOVE the So. Cal restaurant El Ranchito… I’ve never had better refried beans. We discovered the potato tacos last year and I loved them, too. 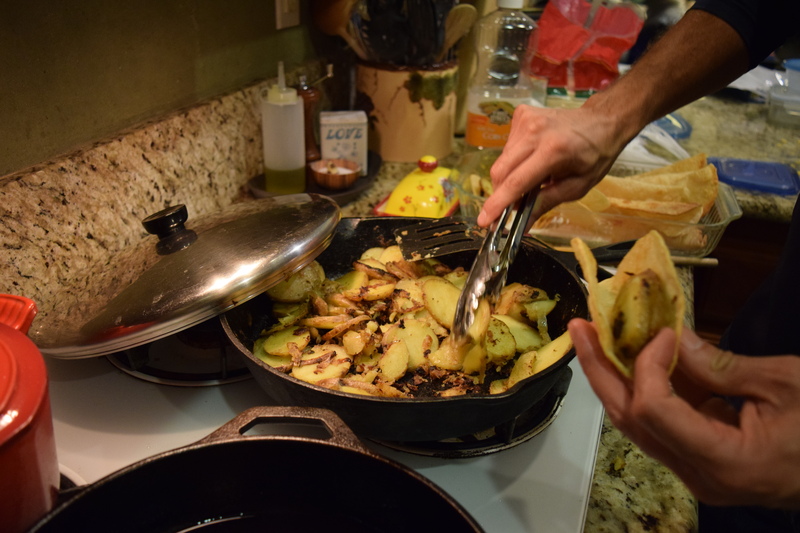 Tonight I made a big batch of what we call Camp Potatoes (sliced potatoes fried in butter and oil with sliced onions, garlic, salt and pepper), and fried up a mess of corn tortillas. 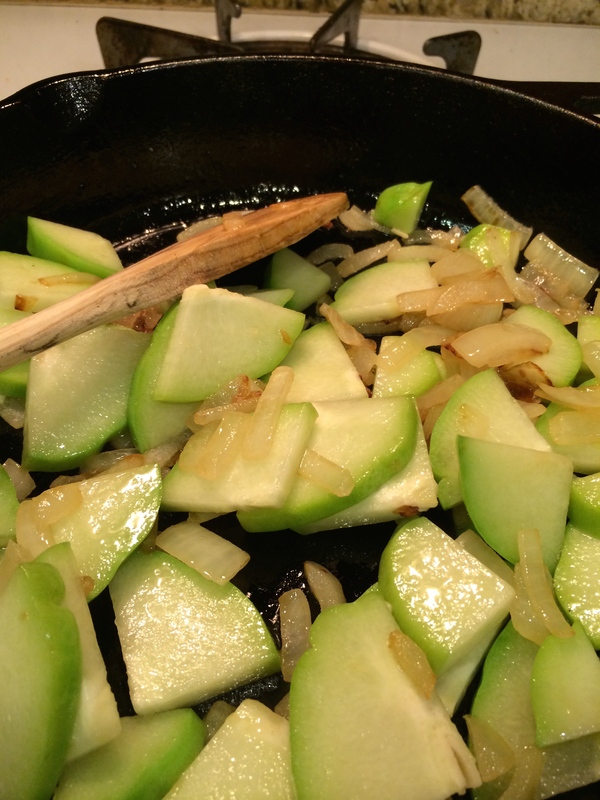 Cast iron pans are the best, aren’t they? 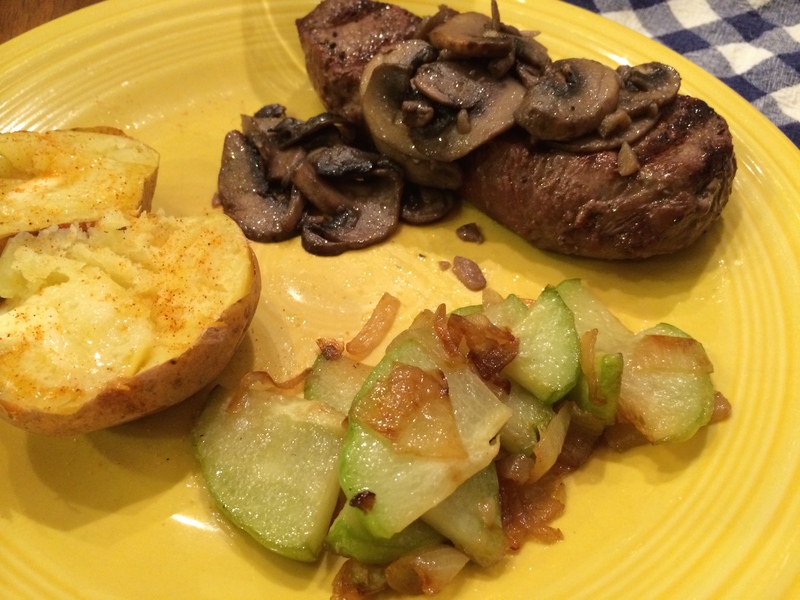 The Husband stuffed them, we cheesed them and after about 15 minutes in the oven, we had a great dinner. We are soooooo making these again. 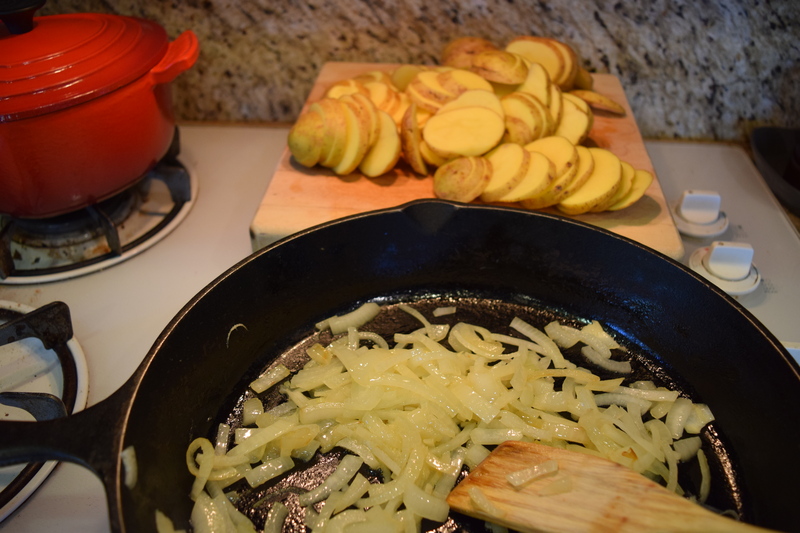 Onions and potatoes frying… Yum. Time to stuff the torts- potatoes and shredded cheddar. 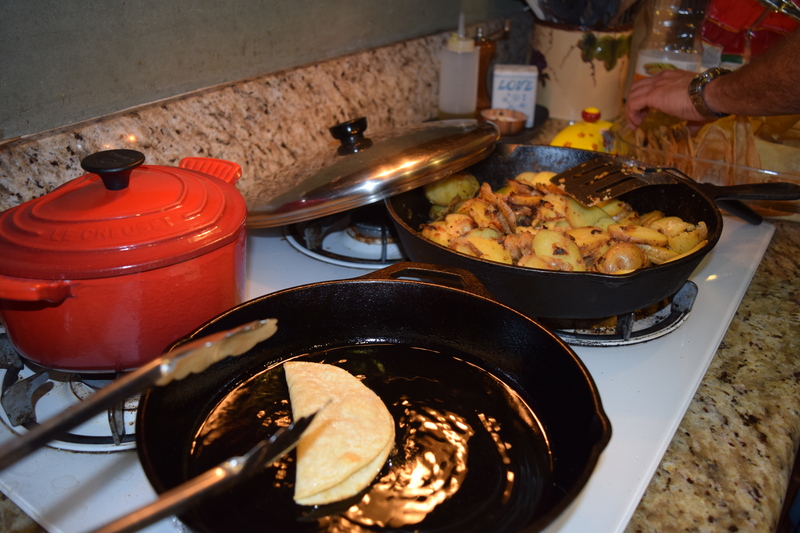 Tortillas in the oil, potatoes almost finished. 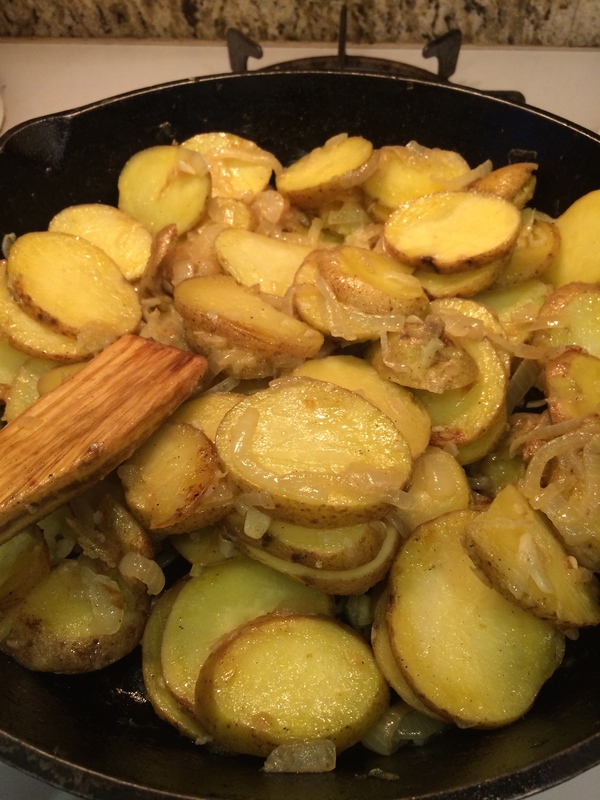 Posted on February 23, 2015 February 23, 2015 Categories Food and DrinkTags food, New Menu Monday, potatoes, recipes, tacos1 Comment on New Menu Monday- Potato Tacos! 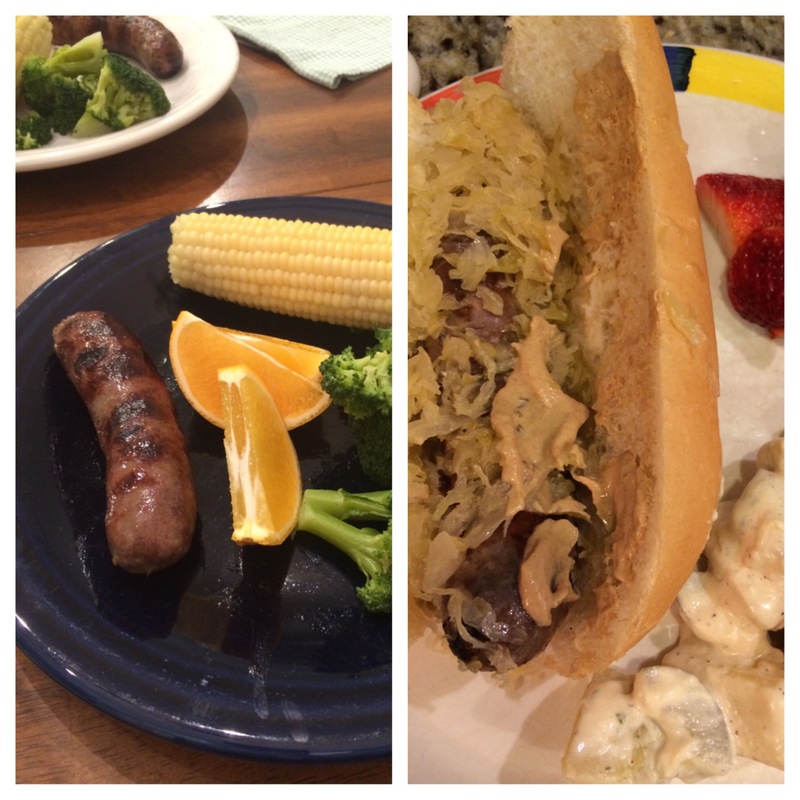 My mom-in-law and her golf buddy made sauerkraut recently and we scored two jars of it. Normally, she shares prepped nopales (cactus), Mexican oregano or tamales that someone in the family has made… sauerkraut is quite a different treat. My dad was excited to get a jar, too, and is looking into the steps to make his own- I predict he will abandon the project when he sees how many steps it takes to ensure well made sauerkraut. Ha. Every time I make potato salad it turns out differently- does that happen to anyone else? 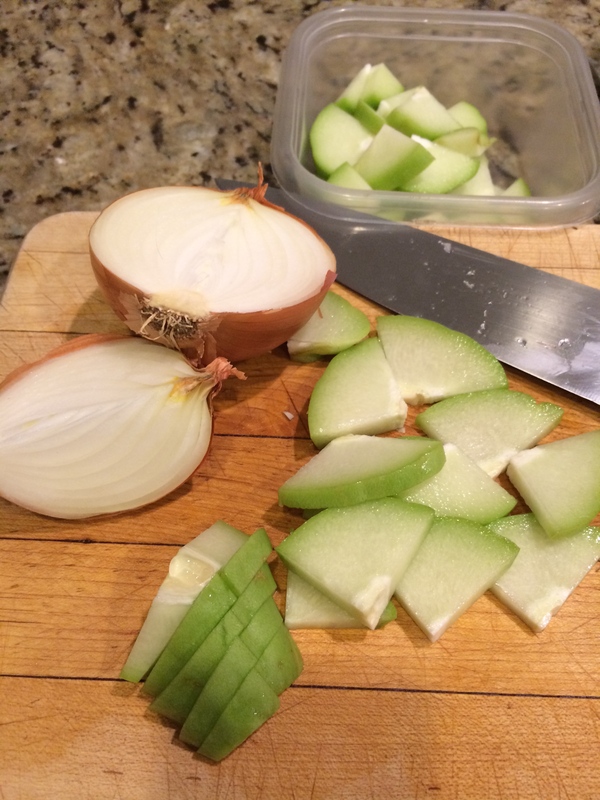 Once again, I am sure that my son will be accusing me of trying to kill him by making him try sauerkraut. The fact that his gramma made it will give me some pull, at least. I’m surprised he was able to survive last night’s Cajun Night as it is. 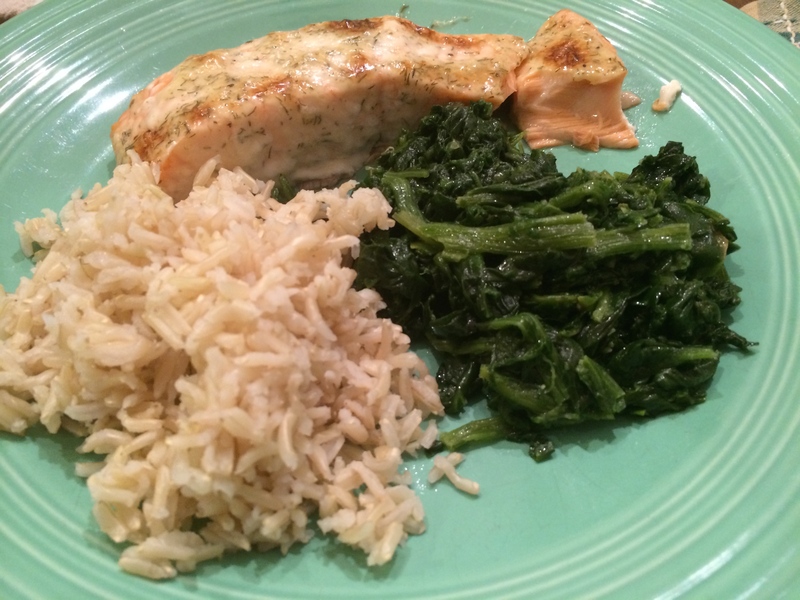 The family LOVES brown basmati rice, and somewhat willingly chokes down the spinach, but we always serve these same sides with our salmon. So, I decided to up the torture for my son- I made the kid eat an artichoke. He complained so little that I suspect he secretly liked it. My daughter and I not only really like artichokes, but think that they make a great excuse to get more butter into our faces, yeah! 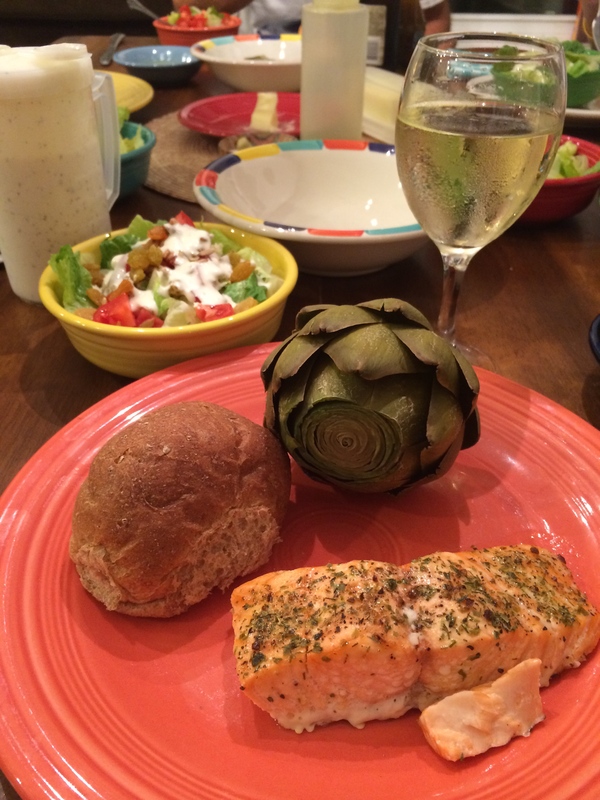 Three out of five of us think that we need to eat artichokes more often- the spare 5th person was the boyfriend… he redeemed himself because even though he can’t stand the artichokes, at least he’s a salmon lover… so he can stay.